THE City Council committee on trade and commerce passed on Wednesday, March 20, a resolution urging City Mayor Oscar Moreno to create an Anti-scam Task Force that would shut down potential scams immediately. 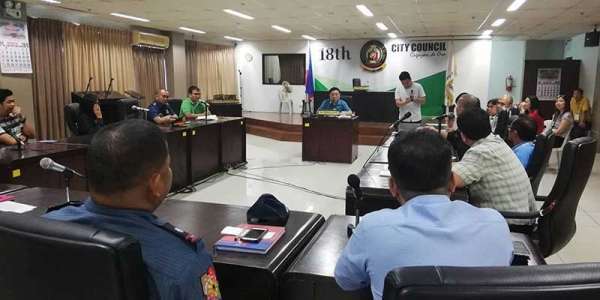 City Councilor George Goking, the committee’s chairperson, said they also passed a second resolution, addressed to President Rodrigo Duterte, asking him to help put a stop to these unscrupulous transactions online. Goking said they were alarmed when some “scammer groups” used Duterte and Special Assistant to the President Bong Go in their scheme to lure more people. These groups claimed to that both Duterte and Go supported their activities. “It's alarming, gross misrepresentation, actions should be done,” he added. He said the concerned agencies should study the possibility of acquiring a technology that would help identify scams. "Kung pwede ba ma-block ba kaha ang (if there's a way to block the) page because daghan na sila ug (it already attracted many) followers, the more followers they have, more influence, more investors. If we have a technology to block these websites, before more investors are lured and before damage gets worse,” he added. Meanwhile the regional director of the National Telecommunications Commission- Northern Mindanao, Teodoro Buenavista Jr., proposed that a cybercrime course should be included in the curricula of schools, in order to educate students of offenses committed online amid the popularity of online investment scams. Buenavista said he was alarmed that the victims include students. He said students are enticed to invest because even professionals themselves delved into the scheme. “Cybercrime should be part of the curriculum, to expand other issues, such as online transaction because every minute, people are into online transaction. It should be made into a regular curriculum of our educational system, we are clothing our ordinary citizens the ability to understand the intricacies of online transactions,” Buenavista added. He said students are one of the most vulnerable sector of this schemes, pointing out that this is the group that spends most of their time online. On the other hand, the Securities and Exchange Commission (SEC) meanwhile reminds the public to stop their involvement with Kapa-Community Ministry International Inc. following the cease and desist order issued against the organization. SEC regional director Renato Egypto said he received information that the KAPA is already in Cagayan de Oro, Misamis Oriental, and Bukidnon. Egypto said the cease and desist order was made permanent by SEC, which directs them to stop soliciting investments. “Despite this order, they continued with their operations and we have already informed our head office of this. The revocation proceedings of their registration is already underway, next up, we will file criminal case against them,” he added.